I love it when you have a great idea that actually works! 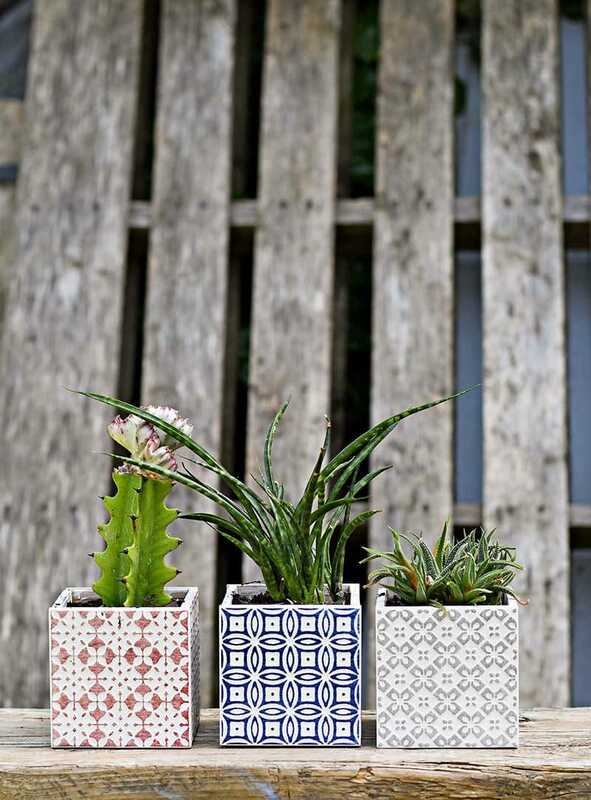 That’s exactly what happened with these gorgeous tile cubed Moroccan planters. A few weeks ago I popped into my local tile store. Whilst I was there I spotted some lovely Moroccan style tiles. The samples were only 30p (40cents), I could resist buying a handful of them. I thought perhaps I’d tile a table or something in the garden. They lay around on my craft table for a few weeks being used as coasters. When I suddenly got the idea of making them into cubed planters. Initially, I thought I’d have to tile them to an existing wooden box. However, I couldn’t be bothered to do that and thought perhaps I could just stick them together on their own. Good old superglue! It stuck the tiles together like magic. All I needed to do was make a simple planter insert from an old soda bottle. Like I did with the indoor herb garden I made. I was so chuffed with how these gorgeous planters turned out. I made a dash back to the tile store to pick up some more tiles so I could make more! Whilst I was there I also checked out the other tile samples for more planter ideas. 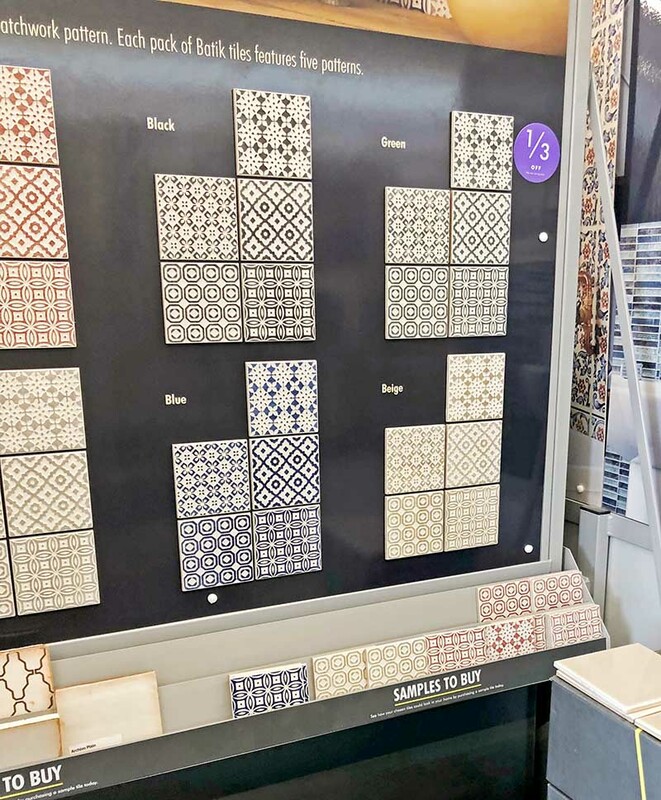 Moroccan style tiles – I got mine from Tops Tiles in the UK, but I’m sure you will find something similar in your local tile shop. 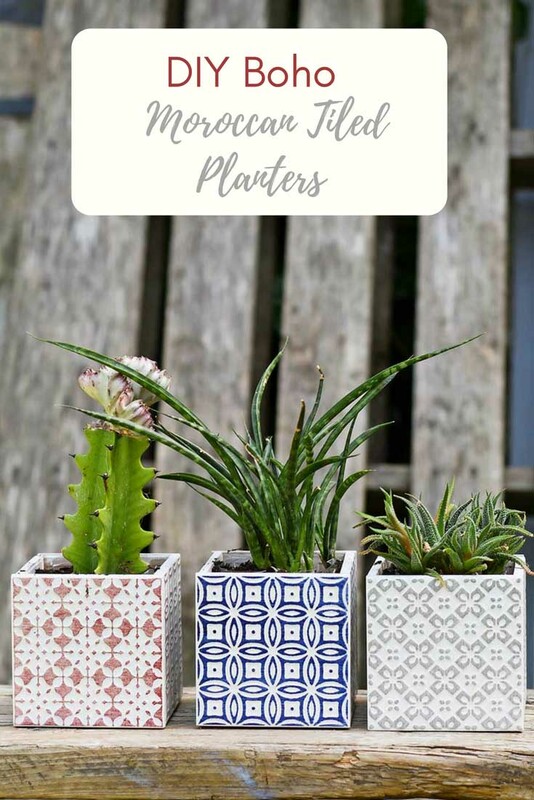 You will need 4 for each Moroccan tile planter. 2-liter plastic soda bottle – I used an old Pepsi bottle. When I say this craft took under 10 minutes it was probably more like 5. Well, the second one only took that long once I’d worked out what to do. 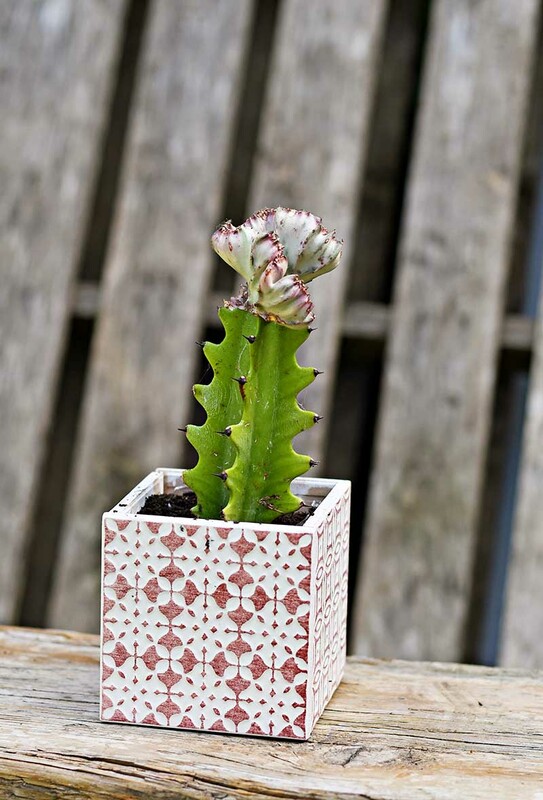 Firstly, gather the 4 tiles you would like to use for the cubed planter. Lay one face down and apply a strip of superglue to the rough edge. Quickly, get hold of another tile and place it standing up on this edge (at 90 deg angle). Hold it in place straight as the glue dries. This should take about 30 seconds. Repeat again with another tile on the opposite edge. Finally, glue the fourth tile across the top of the 2 perpendicular tiles to form a cube. Now you may think that the cube will make a lousy planter as there is no base to keep the soil in. That is where the soda bottle comes into its own. 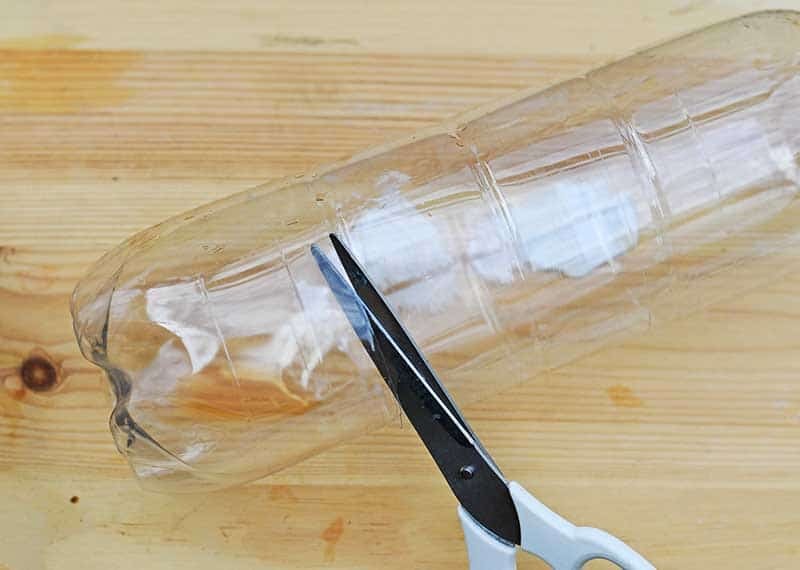 Cut the base off the soda bottle so that it is just a few millimeters shorter than the height of the tiled planter. 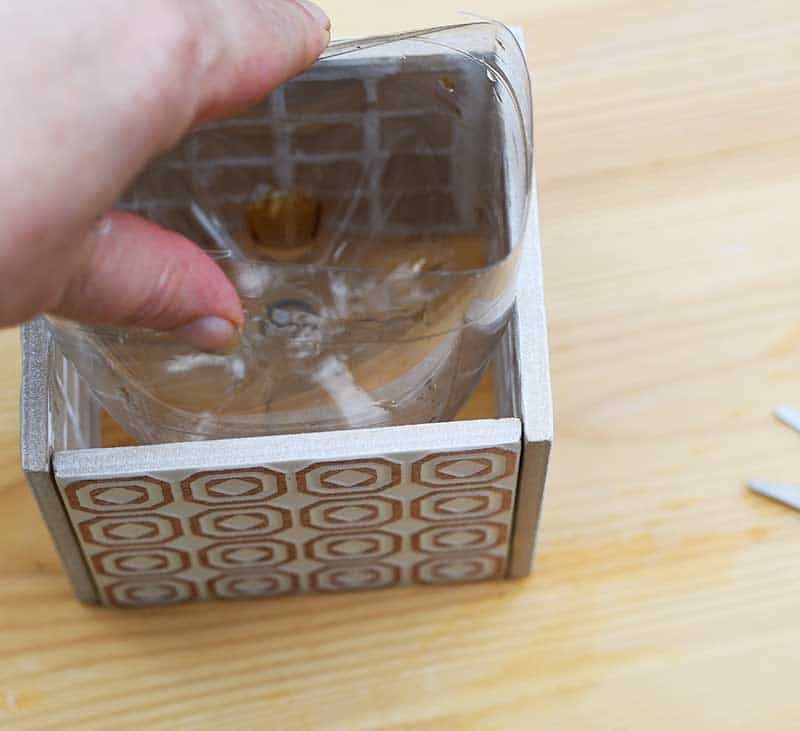 Next, gently squeeze the plastic bottle base into the tiled cube. 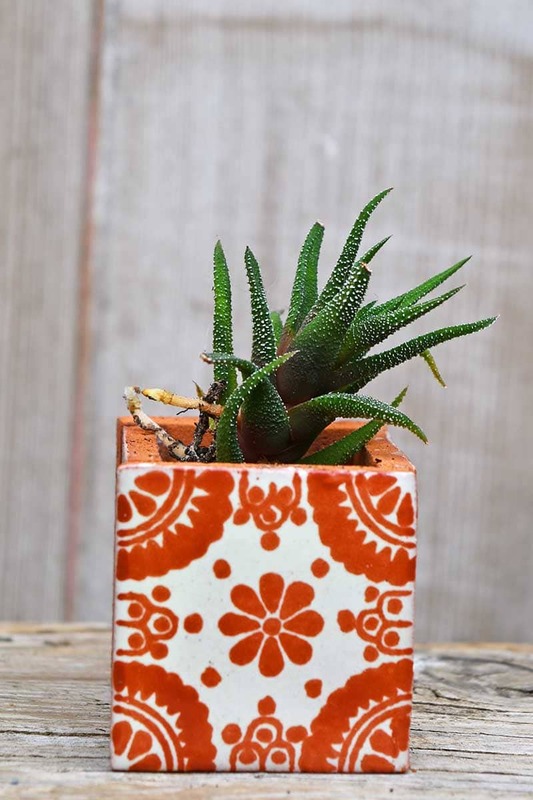 You will find that the bottle fits in snuggly and will stay in place when the planter is lifted. All that is left to do is to plant your plants. 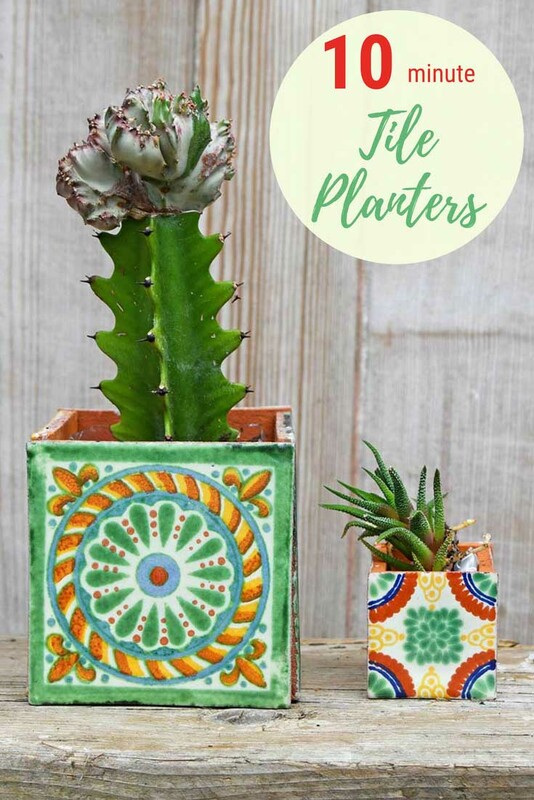 I think that as these tiled square planters have a Boho Moroccan feel about them they are perfect for succulents and cacti. Who doesn’t love a succulent? As I said at the beginning I loved how this planter turned out. So I went back to the tile shop to get more samples to make more Moroccan Planters in different colours. 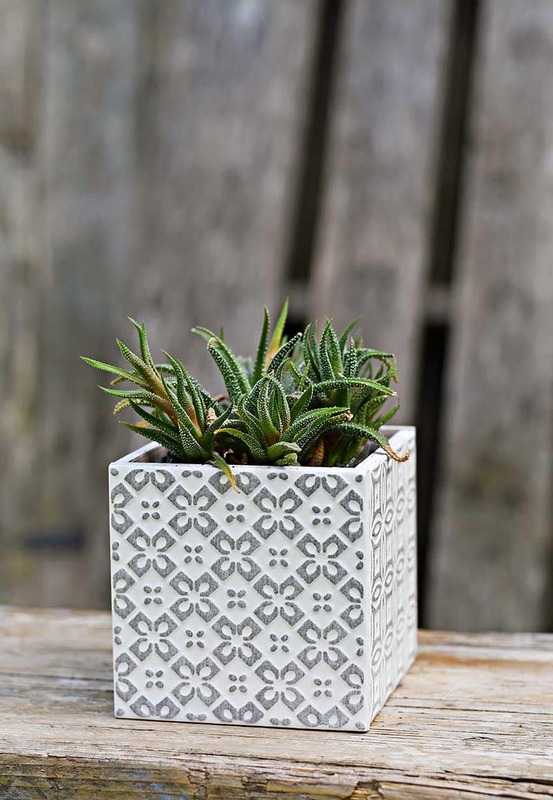 These square Moroccan tiled cubes don’t have to be turned into planters, they would also make great storage pots. Perhaps in a craft room with pens or in the bathroom with makeup brushes etc. 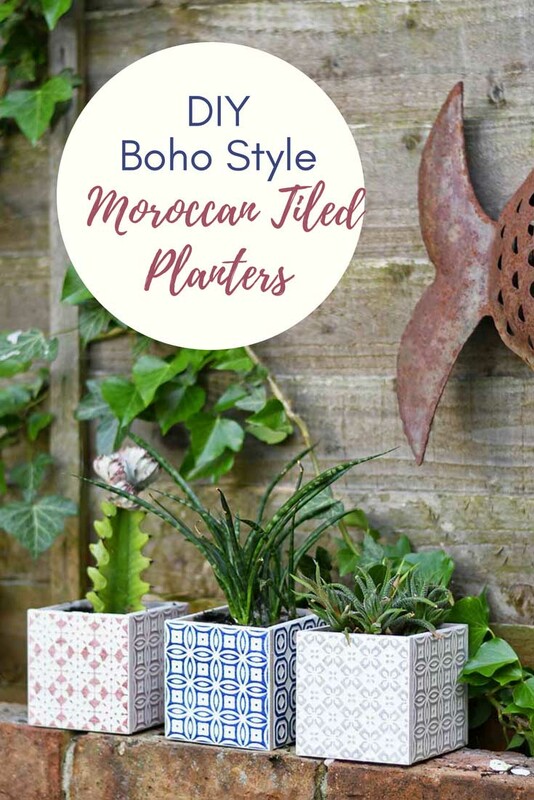 I do have a thing about the patterns on Morrocaan tiles and have used a Moroccan tile stencil to make a colourful Boho painted wood pallet garden in the past. Whilst in the tile shop I noticed loads of other wonderful tiles that took my eye so I’m on the lookout to make some more crafts for my home out of old tiles. 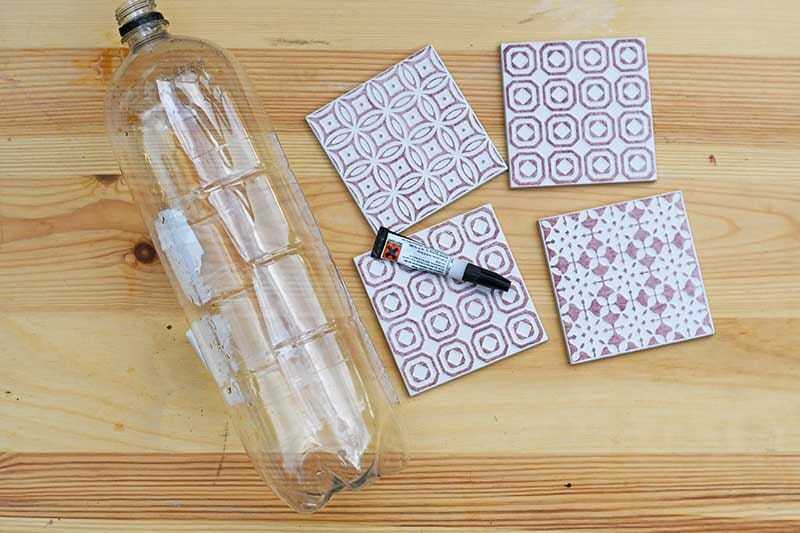 This project is also a great way to use up any spare tiles you have left over from your home improvement projects. Perhaps you’ve tiled a DIY splashback in your kitchen. 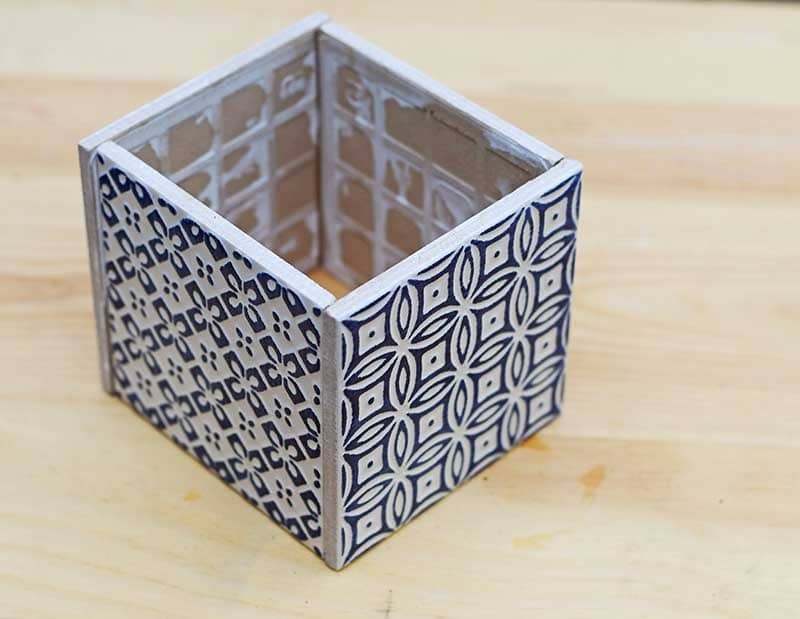 You could use the spare tiles to make a matching cubed tile utensil holder. 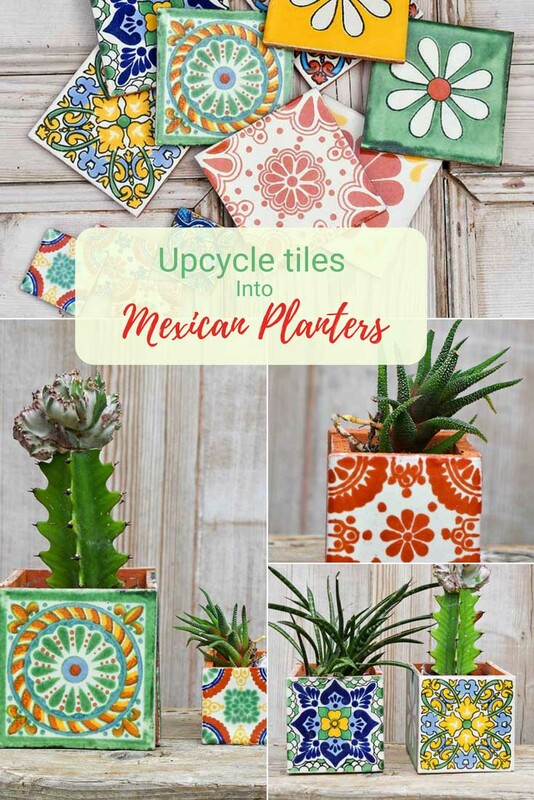 Since posting this, I found some fabulous Mexican tiles really cheaply and couldn’t resist making Mexican tile planters to go with these Morrocan ones. I loved the colours of these Mexican tiles. There were even some small ones to make cute tiny planters with. 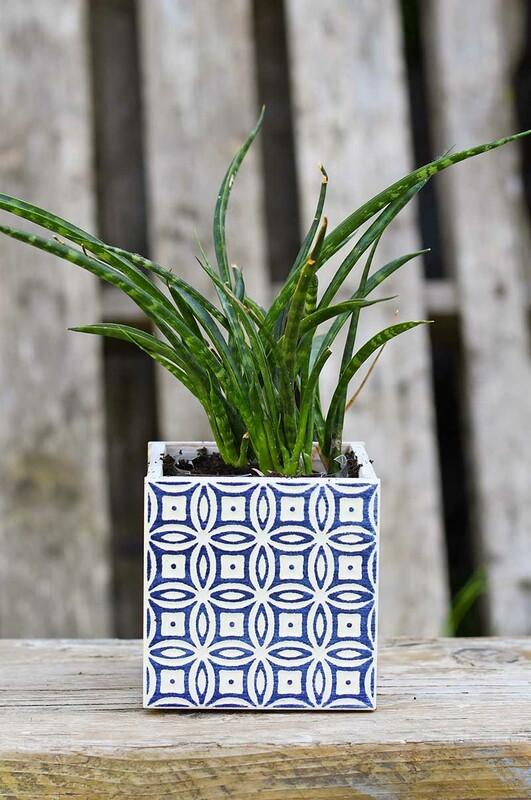 If you like this you might want to check out my mosiac wall planter..
Oh my goodness, these are just amazing! Thank you so much for sharing with Wall to Wall DIY Wednesday! These are gorgeous but I have questions: Shouldn’t you put a tile (doesn’t have to be a fancy one) on the bottom? Will the super glues hold up over time? 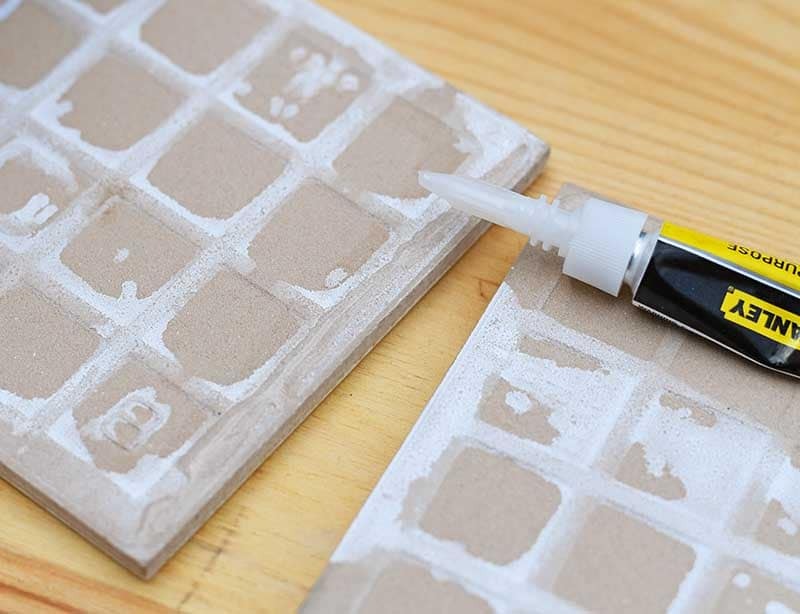 Wouldn’t tile adhesive work better and last longer? Thank you, Phyllis. A square tile would not fit on the bottom that’s why I used the bottle insert. The superglue is extremely strong and works better than the tile adhesive as you are only gluing a very small area. Very pretty. The only issue I see is that there is no drainage hole for the soil. Many plants including succulents need well drained soil. I would think a couple of small holes in the bottom of the pop bottle might work; however, a bottom dish will be needed. 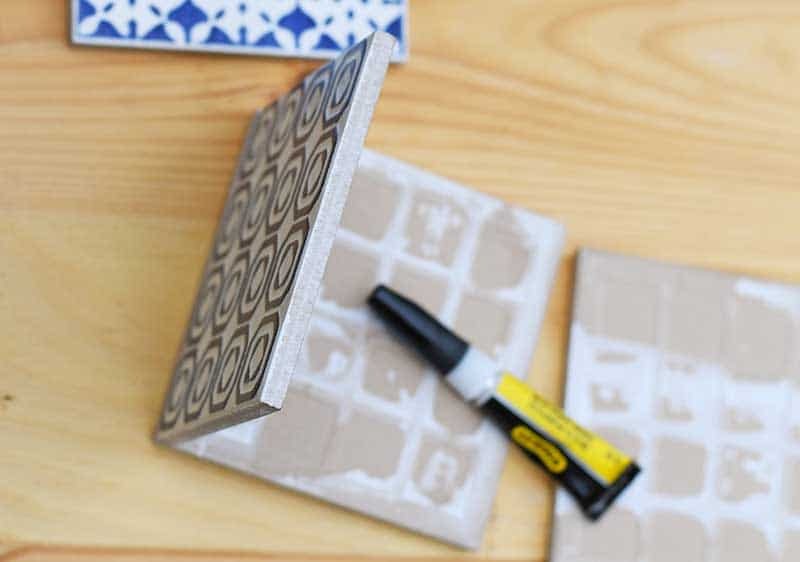 Instead of the pop bottle insert, what about gluing another tile or a piece of terra-cotta on the bottom that has a hole drilled in it? Either would work, you could put some pebbles in the bottom of the bottle to help with drainage. 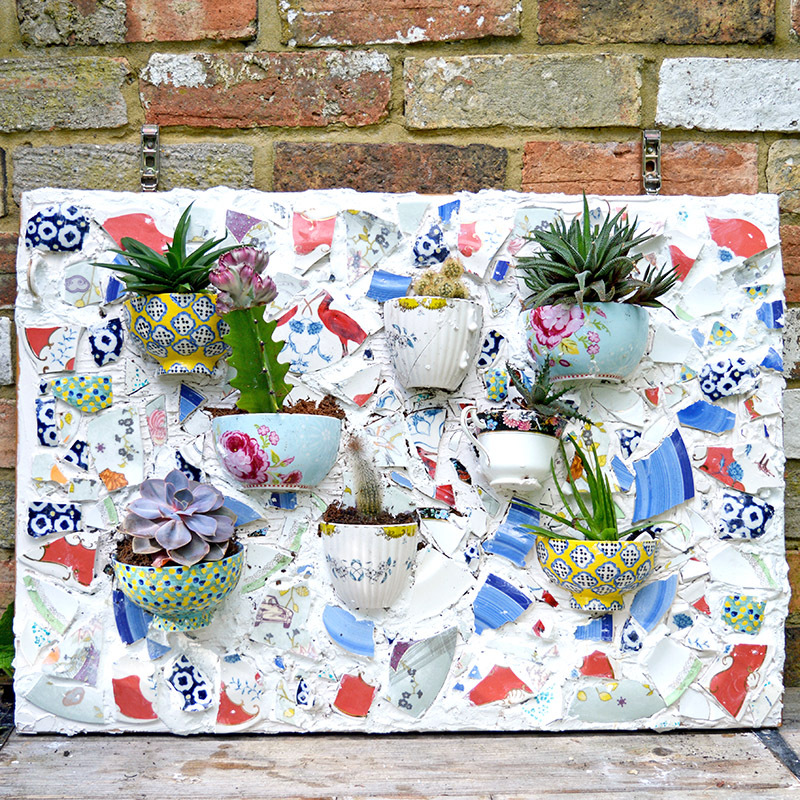 Or as you say holes in the bottom and sit them on a tray like you would do with other potted plants. I tend to just put a layer of pebbles in the bottom before adding soil and that works well for me. Oh these are so so gorgeous Claire! 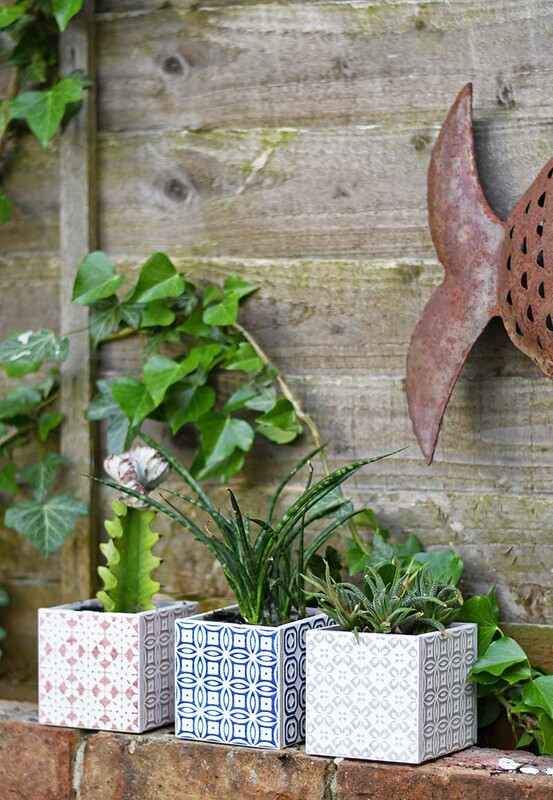 I love all of those tiles and to make planters with them…. fantastic! I absolutely love these! My husband is from Morocco and I’m always looking for Moroccan flair to add to our home here in the US. Now I am going to be on the hunt for a tile store! Thanks for the great idea. Thank you, hopefully you’ll find some similar tiles. Thank you and thNks for the feature. Oh my gosh, I love this idea so much!! 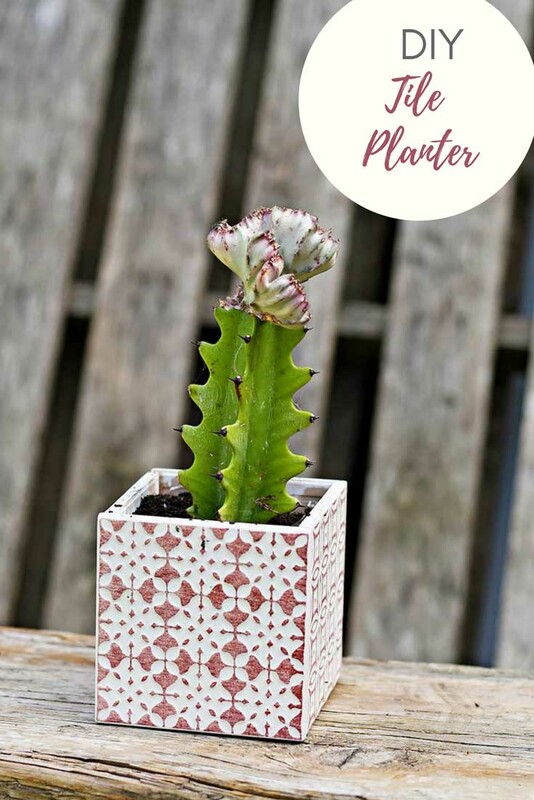 This is on my home project list now 🙂 I’m featuring your DIY over at the Friday Favorites linky party this week, have a look: https://be-alice.blogspot.com/2018/06/friday-favorites-week-429.html Hope to have you back next time as well! They are so simple to make. I look forward to seeing the feature, thank you. These are so beautiful and fun! I simply must finds some of those tiles! I am featuring you today at Thursday Favorite Things! I hope you will join us again this week. Thanks for sharing! Awesome, thanks for the feature. So simple and yet so beautiful! Pinned! Thanks for sharing on To Grandma’s House We Go! Thank you, they were simple. I want to try other tiles next. This is SO smart, and chic! LOVE it! Aww, thank you so much Julie. I sense a trip to topps tiles in my future! These look lovely and with all the different styles of tiles around the options with this is almost endless. Good old superglue indeed! Thank you, Julie. The superglue works really well and it was the stuff from Pound Land too! OMG Claire! I love these. I am half Morrocan, half German and love those patterns so very much. I really need to see if I can find some tiles here. The fun thing is that my cousin in Morocco has a tile factory and I have two of those wonderful handpainted tiles here in my home. But only two!!! I am using them as coasters for hot pots at the moment and already started thinking if I could make the other two sides from wood or something. Thank you for your great inspiration. I will definitely come visit your blog regularly from now on. Thank you so much. 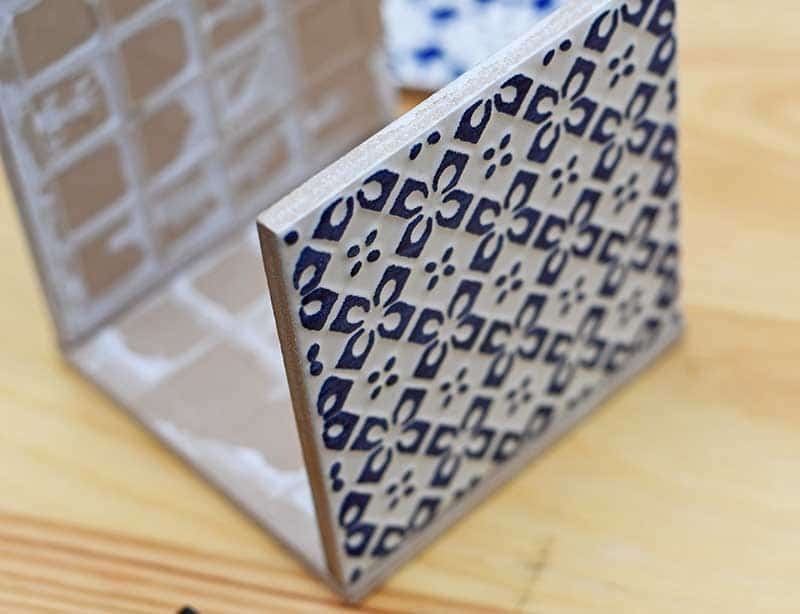 You maybe able to find two tiles the same size as your Moroccan ones you can use for the other sides. My parents live in Portugal so I’m going to hunt for some lovely tiles there next time I visited. I’m glad you like the blog. The tiles are beautiful and I love the planters! Thanks for sharing at Vintage Charm! What a great idea. They look really sophisticated, and like they must have cost a fortune. Thank you Ginny. Yes I can’t believe how cheap they are to make. Wow! These look incredible! Really loving this idea. I have been wanting to do some planting myself, and I think I might just work up a few of these for them. I am curious how they hold up with the super glue… I have E6000 on hand, should work similarly. Thank you. The super glue holds really well, it’s good it’s quick drying. This is a wonderful idea. There are so many great tile selections to choose from. Thank you Debra. I know I want to check out Portuguese and Mexupican tiles next. Thank you, I bet you have. 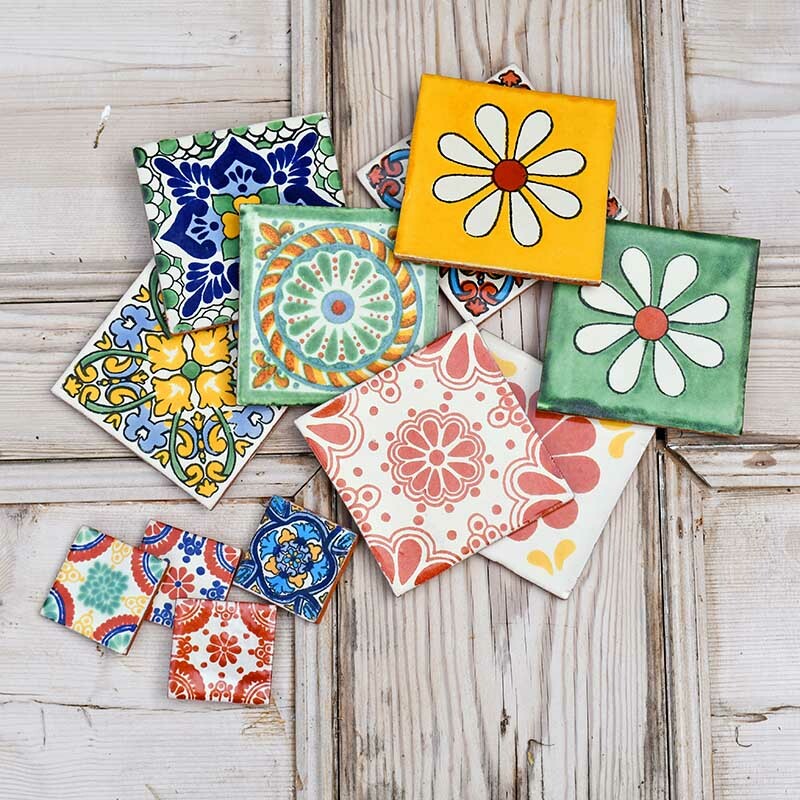 I’m going to check out Portuguese tiles when I visit my parents in the summer. Brilliant as always, Claire! 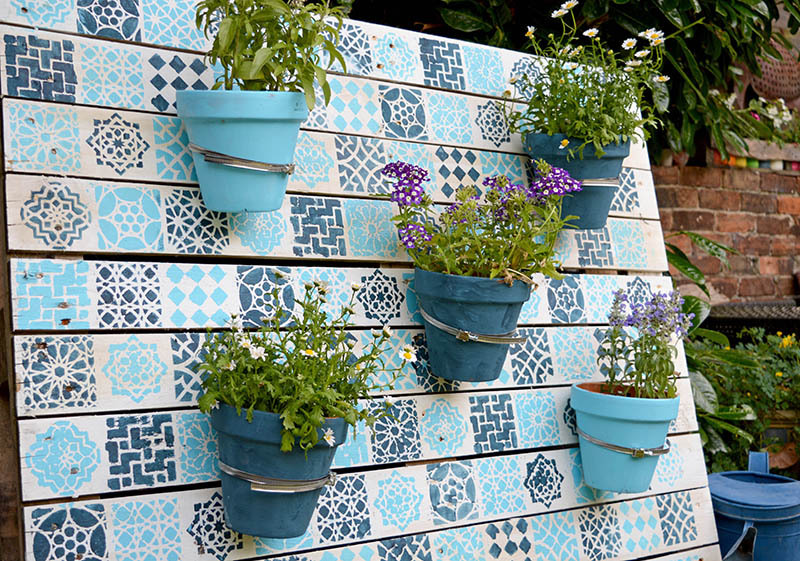 Love this idea for using up extra tiles as well. And of course one could easily just glue a tile to the bottom, or rather start with a tile as a base and glue tiles to base. Thanks so much for sharing on craft schooling Sunday, you make the party! Thank you, Sara. Unfortunately glueing the tiles to the base won’t work without leaving a gap. Awesomeness! Again..as usual! And so easy to put everything together. Thank you.. Thank you. Yes they are one of the easiest things I’ve made. Our 2 litre pop bottles are a different shape in Canada. Much shorter and wider. I’m sure you can find another kind of plastic pot to fit, like a large yoghurt or salad pot. 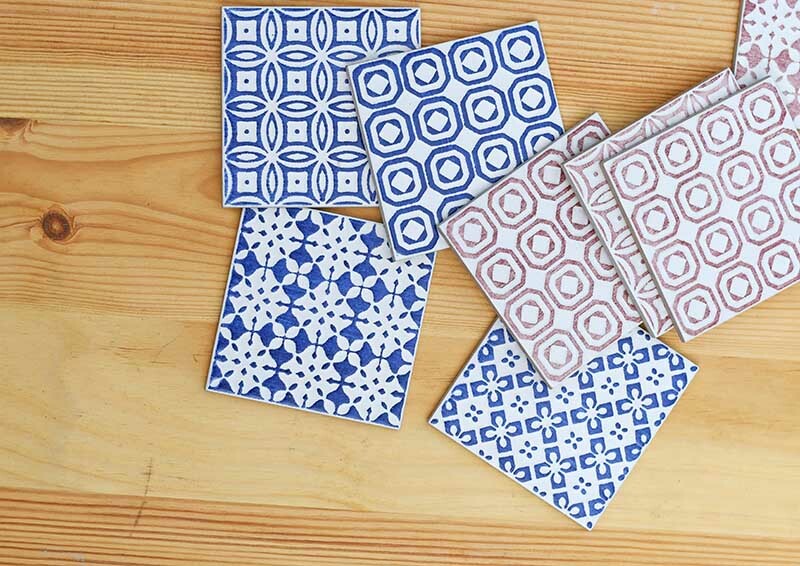 I LOVE these…for the ease of making and because of the Moroccan look. But…even more so…is how it can help my friend. She puts plants from her greenhouse into containers to sell. I’m always keeping my eyes open for inexpensive cute containers that she can use. The profit she makes goes towards helping single mom’s here in the states. I think this idea could really be helpful towards her cause. Thanks so much for sharing. P.S. I first saw your work through Funky Junk’s upcycled parties. I too love maps and have fallen in love with what you do with denim so I started following you too. However, I’m just now realizing you’re in the UK. Smile. Now I understand even more why you are “Pillar Box Blue”. I’ve always loved that title! Aww, thank you so much. I’m really pleased you like my map and denim crafts it’s a bit of an obsession of mine as you have noticed. Thank you for following me, I will be posting more denim and map DIYs. I hope the pots work well for your friend, if we have these cheap tiles in the UK I’m sure you will have something similar in the US. Mexican pattern tiles would work really well too. These are adorable! I have to find those tiles somewhere near me. Thank you, I’m sure if you go to a large tile merchants you will find something similar. Mexican pattern tiles would look good too. These are fabulous!!! I absolutely love them! We went to Morocco back in March and these brought back fond memories of our wonderful time there. Since I couldn’t pack in my suitcase all of the wonderful dishware that I wanted to bring home, I can make some of these little lovelies! Now I need to go to my tile store! Thank you. I once went to Morocco for the day when I was a kid (from Gibraltar) but would love to go again one day soon. They are 6-inch tiles and I used a 2-liter coke bottle. 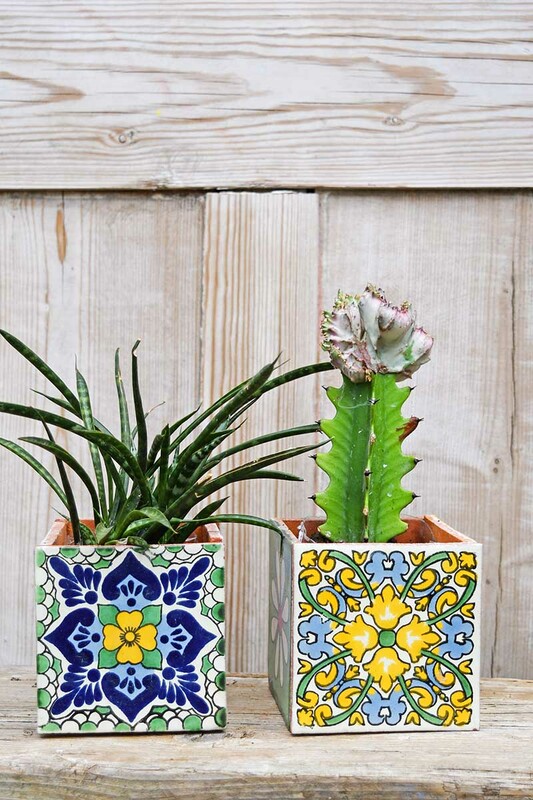 I think Aztec tile planters would look fabulous, I love Mexican tiles they are not too dissimilar to Moroccan ones.